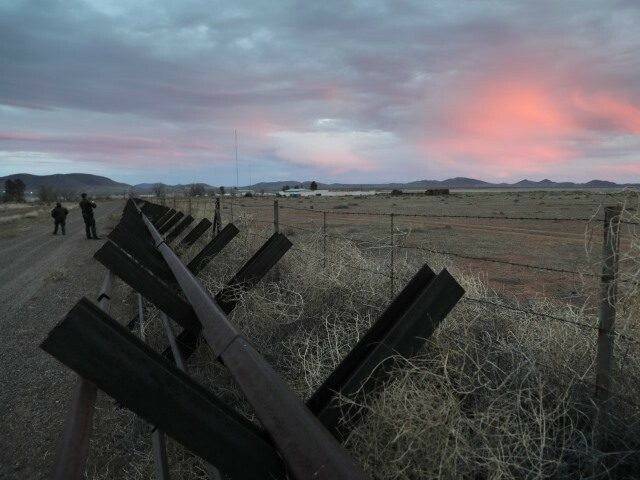 The residents of this sparsely populated area of the New Mexico-Mexico border say they are reluctant to report crimes they witness to local and federal law enforcement because of the possibility of retaliation from the Mexican cartel-connected smugglers. Ranchers and others in the area told the Washington Examiner they witness drug and human smuggling on a regular basis and some have faced blowback after reporting incidents to authorities. “I turned in 700 pounds [of marijuana] up here … I called it in [to Border Patrol]. They went and got it. That night, they [smugglers] came back. They … broke off all the floats off my troughs — chopped ’em up, drained all of it,” New Mexico rancher Billy Darnell told the reporter. Rancher Kris Massey, a resident of Animas, New Mexico, told the Examiner that retaliation from the smugglers is not a conspiracy theory or a figment of their imagination. “My house is maybe 100 yards from my barn. One time, I found a hand-drawn map that I turned over to the sheriff’s department that listed every … water tank from south all the way to my house. And my barn was marked with a big X. And they even labeled it ‘Massey barn.’ So, they’re pretty informed on what they’re doing. And this is literally on the highway, so you know what they’re doing out here in the pastures, and you find bundles of drugs in your field when you’re harvesting — backpack size,” he explained. Business owner and Animas resident Tricia Elbrock said cartel spotters frequent the high grounds near her home. She is afraid they will know if she reports their smuggling activities. She said her family members found satellite phones, cell phones, telescopes, and even semi-automatic rifles in the hills near her home. New Mexico ranchers are becoming more vocal about the crisis along their shared border with Mexico. Many are pleading for help from their state and federal elected officials, all of whom are Democrats who appear to be following the party line on border security.